Sleeping masks are an excellent way to finish your evening skin care routine. 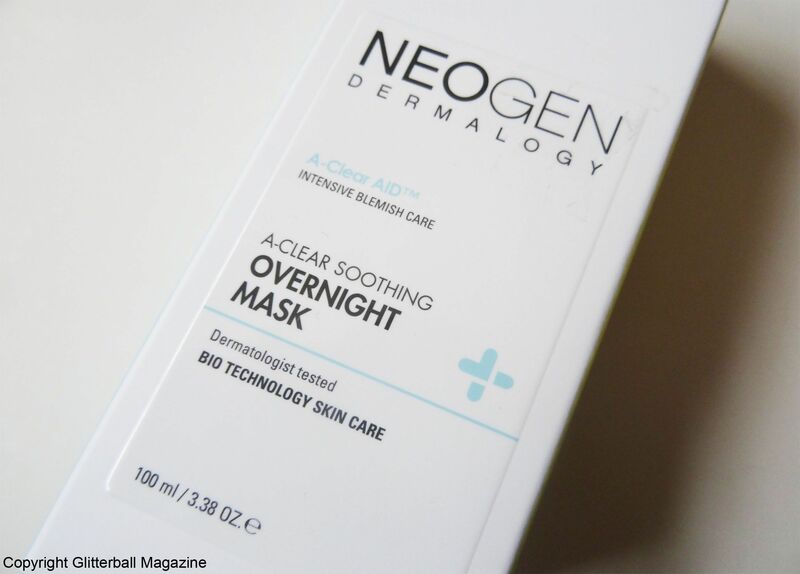 The A-Clear Soothing Overnight Mask from Neogen is a great soothing skin care additional to my stash. It aims to calm irritated skin as you get your beauty sleep, balance skin and control oil levels. 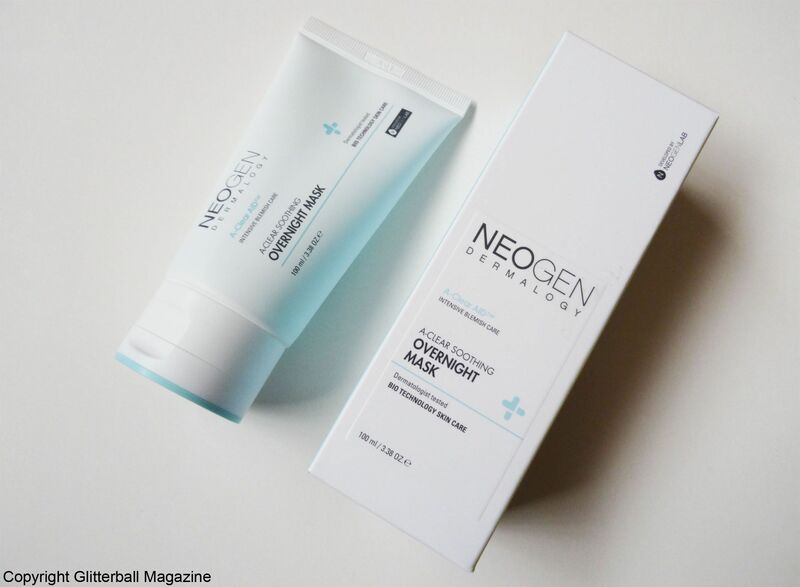 With this, you’ll have a healthier looking complexion that feels boosted and protected. When dealing with problematic skin, it’s important to prevent future breakouts. Luckily, this soothing face mask helps clear clogged pores and a reduces a build-up of blemish-causing bacteria. I tend to prefer gel consistencies in skin care because I think they suit my skin better so I love that this sleeping mask has a gel texture. If you unscrew the lid, you’ll notice the product looks blue but it’s completely clear out of the tube. 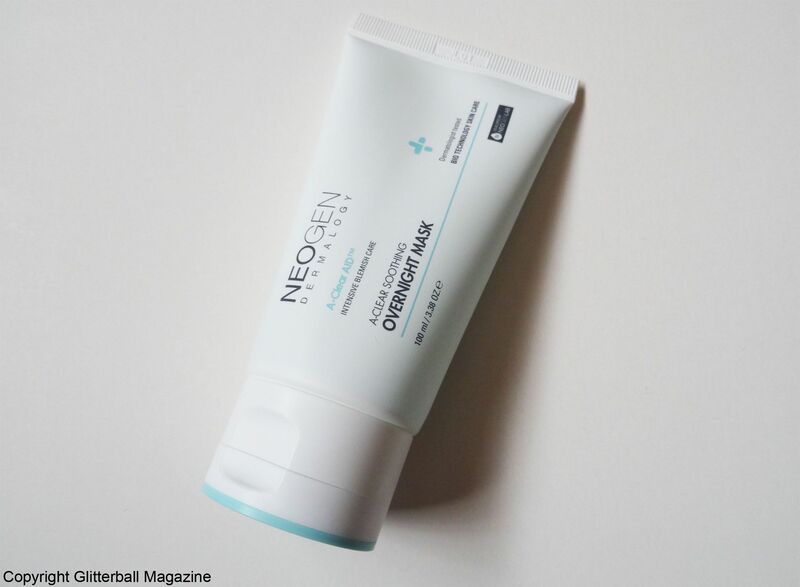 Like the Neogen A-Clear Foam Cleanser, this contains salicylic acid, a natural form of BHA to gently exfoliate skin and ensure dead skin cells are removed without causing irritation. Salicylic acid is highly beneficial if you have sensitive skin or if you’re prone to blemishes or rosacea. Salicylic acid regulates oil levels in the skin. In addition, it reduces redness and inflammation associated with blemishes and acne as well as rosacea. 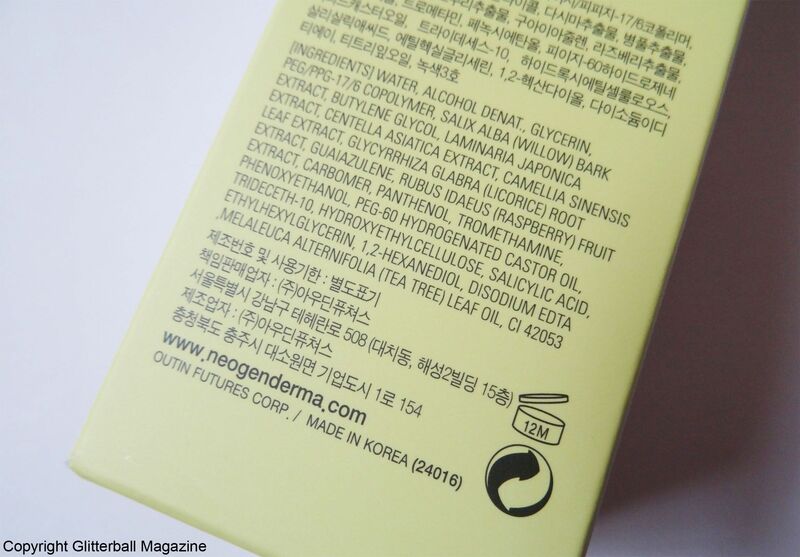 Extracts of centella asiatica and green tea instantly calm skin and repair dry skin. If you have rosacea, you’ll be pleased to know they’re both super ingredients for fighting redness. Tea tree also targets facial redness and can reduce the appearance of acne scars to leave you with a brighter complexion. Extra skin brightening comes from extracts of liquorice. Rough skin is a thing of the past thanks to the inclusion of panthenol, which quickly restores hydration in the skin and reduces inflammation. 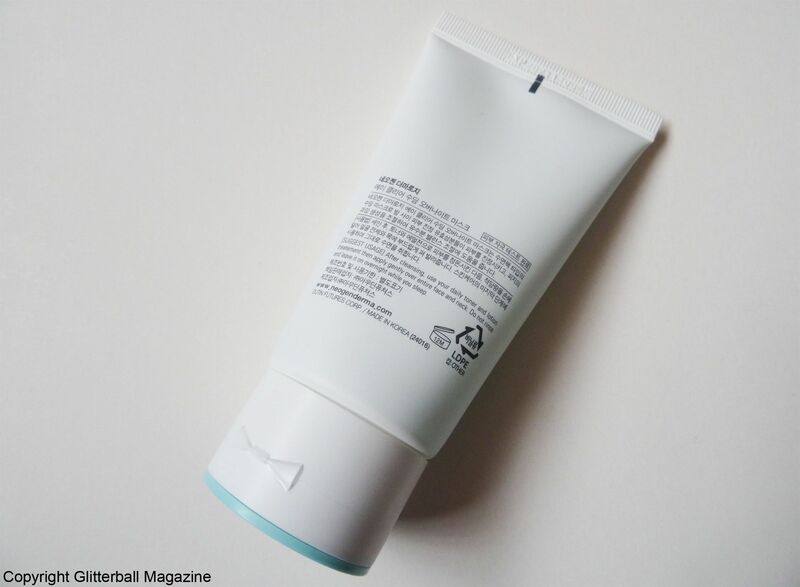 Azulene (the reason this overnight mask looks blue in the tube) soothes acne-prone skin. Raspberries are high in vitamin C to prevent premature ageing and tone skin while eliminating inflammation and increasing moisture levels. 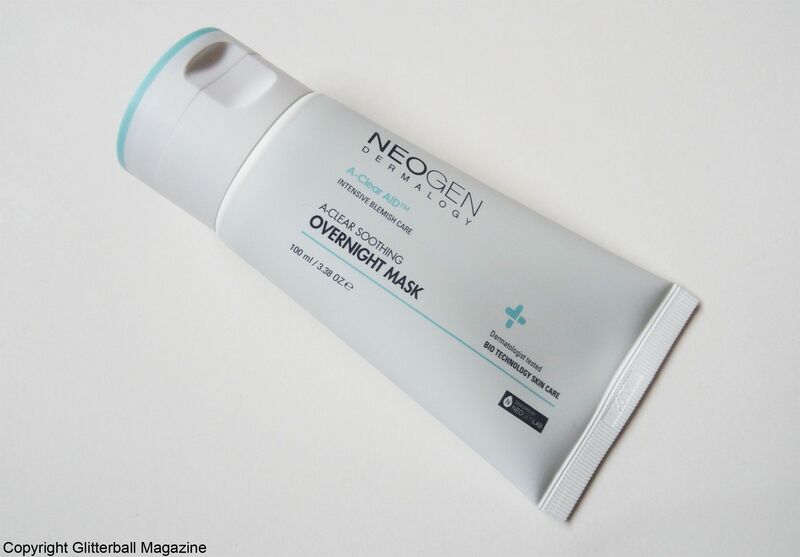 I use this lightweight mask as the last step in my evening routine after my moisturiser. The smooth gel texture makes it a delight to apply. It absorbs into my skin within seconds and doesn’t pill with the rest of my skin care. It immediately cools my skin and hydrates it. I wash it off with lukewarm water in the morning. Not only does my skin feel smoother but it also looks healthier, even if I haven’t had eight hours of sleep. Because alcohol is the second listed ingredient, I worried this would would disrupt my skin but I shouldn’t have worried. Although it didn’t eliminate a stubborn whitehead on my chin, redness and dryness completely disappeared with this! Although this is a pleasure to use a few nights a week, I might save it for when my skin flares up. I’m sure I’m not alone with experiencing skin changes during a menstrual cycle and I love that this soothing sleeping mask gently removes dry skin cells so I don’t get any stubborn blemishes underneath the surface of my skin. Find out how what else I use to keep blemishes at bay with the CV Young Anti-Pickel Pads that I stocked up on in Slovenia!